The museum closes at 5:00 p.m. tonight, but the after-hours interactive fun continues. 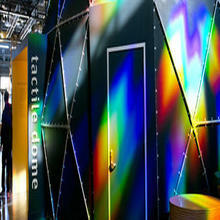 Take an excursion through total darkness in our Tactile Dome. Crawl, slide, and bump your way through the pitch-dark Dome using your sense of touch as your only guide through its chambers and mazes.